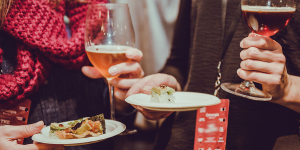 Cornucopia Whistler 2018 - Events Not To Miss - Whistler Real Estate Ltd.
Cornucopia, presented by BlueShore Financial, is known as the True North of food & drink festivals. 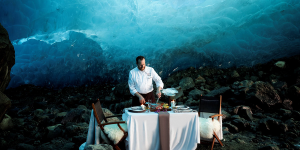 This 11 day celebration of food and wine returns to Whistler from November 8- 18, with something for everyone such as winery dinners, culinary workshops, interactive seminars and exciting after parties. At its heart, Cornucopia is a community and charity event, bringing people together to celebrate local wines and amazing culinary creations while raising money for community initiatives. Cornucopia has raised over $500,000 in aid of community initiatives and this year they have announced the Whistler Public Library as the 2018 recipient. The best part about this event is that participants create their own custom itinerary to suit their taste buds. Events take place at various locations around Whistler including renowned local restaurants and the Whistler Conference Centre. The perfect combination of local foods and domestic wines, spirits and beer. Join the barbecue experts at SIDECUT for an evening of food and drink including classic BBQ favourites and modern delicious variations. All paired with home-grown vodka, micro-brewed beer and much more from British Columbia. This is an event not to miss, grab your tickets early as this event is a sure sell-out! Join Whistler Blackcomb’s Executive Chef, Wolfgang Sterr, as he demonstrates the simplicity of everyday delicious plant-based meals. This event endeavors to educate people on the positive effect plant-based dishes have on your health and well being while also having a positive impact on preserving the planet. Araxi Restaurant + Oyster Bar are pairing their passion for farm to table cuisine with rare vintages and renowned wineries to showcase the very of best in Old World Treasures. Join them as they explore wines from the most storied regions of Europe while learning about the age-old art of pairing delicious wines and food. The Cornucopia Night Market takes you on a delicious tour across the globe. Offering street style inspires cuisine from around the globe paired with a wide range of beverages to compliment. This evening promises to be a fun and creative culinary journey! The Blue Room is truly a once in a lifetime dining experience! Guests are transported to a secluded location by a Mercedes limousine from Four Seasons Resort and taken by private helicopter through Whistler’s breathtaking mountain region. 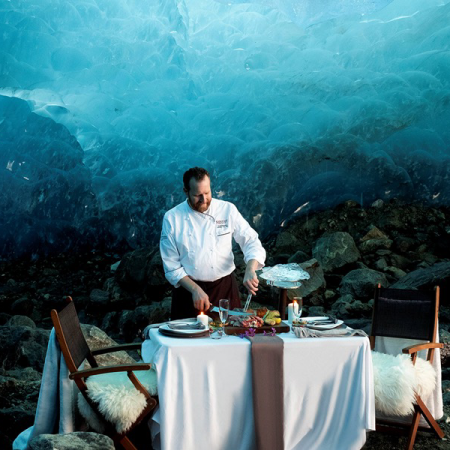 The main event of the evening includes a 3-course dining experience from Four Season Whistler’s Executive Sous Chef, David Baarschers in a secret ice cave.